SparkDistrict.com has links to resources and a map showing where they're located. The Spark District is the new name for the area where entrepreneurs can find support in downtown Jacksonville. The new district and its corresponding website were unveiled Thursday evening in Hemming Park. The unveiling comes after eight months of work by one downtown business owner: Ed Baldwin, who runs the software company ProfileGorilla. His company, which helps other companies track vendors and contractors, has been in its downtown office space, with its exposed brick and wood beams, for about a year. And this startup Gorilla is a beast at winning clients. Like many entrepreneurs, Baldwin is plugged in to a Jacksonville community that host meetups, holds conferences and offers co-working space to help others get ideas off the ground. But he noticed those resources were not displayed all together in one place. That’s where the Spark District—and SparkDistrict.com come in. #StartupJax founder Anthony Catanese says the site should help people take the next step. “So, I have this idea, or I have this business, and I live in Jacksonville, Florida, and maybe I live in Mandarin, and I don’t really know where to go to find people that are in the same world as me. Now you have a starting place," he says. Baldwin says the idea came from cities including Austin, Kansas City and San Francisco, which already have sites promoting their startup communities. The Spark District is the latest marketing effort by the nonprofit Downtown Vision, the force that’s also behind Art Walk and, more recently, The Elbow dining and entertainment district. 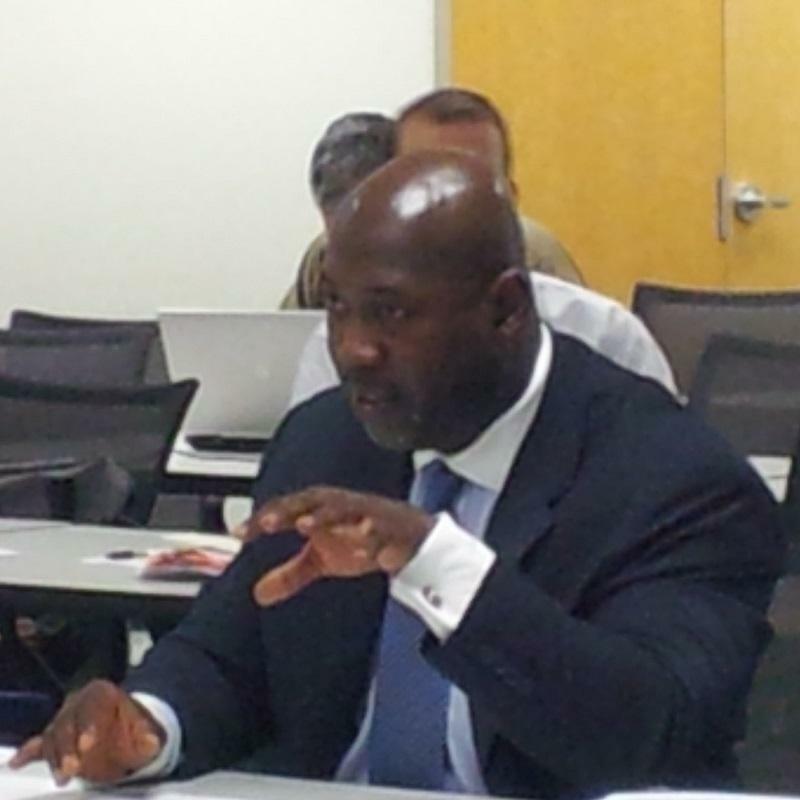 But beyond the branding, Baldwin says he hopes the formalization of the innovation district will boost business owners’ chances of courting city help in the form of reduced rent or micro-loans. 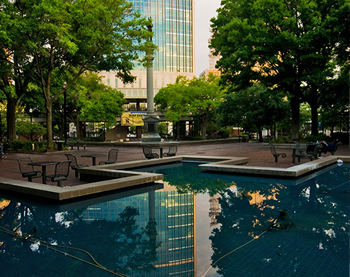 A public-private partnership has been formed to to revitalize Hemming Plaza in downtown Jacksonville. 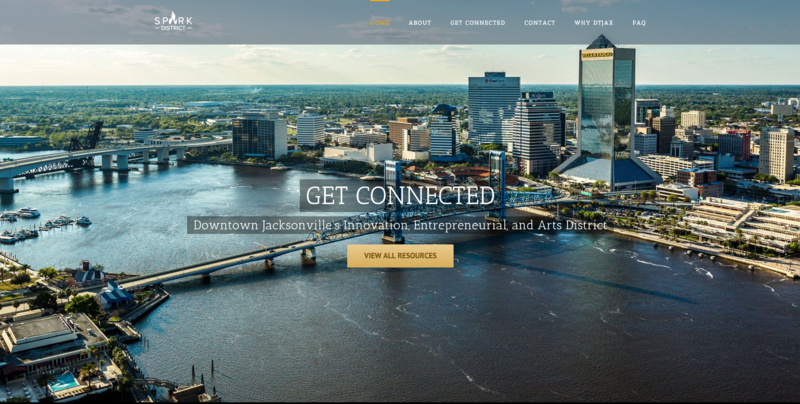 Jacksonville’s new Downtown Investment Authority is kicking off a series of community meetings this week. They want the public input on a new plan for the city's Urban Core. The meetings are a chance for residents to speak out about what they think are the most important issues related to downtown development — whether that means housing, streetscape improvements, parks and recreation, business recruitment, or all of the above. Downtown Jacksonville's Laura Street One Of 15 'Great Places' In U.S. 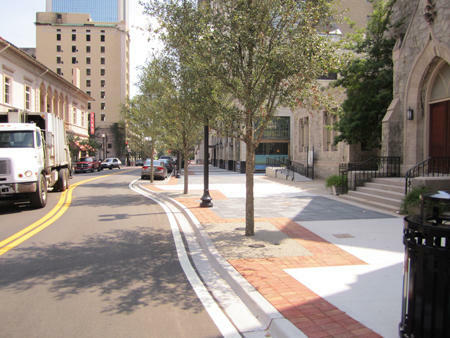 Downtown Jacksonville’s Laura Street has been named one of the country’s 15 Great Places made better by city planners. The vibrant street that touches the Landing, City Hall and the Main Public Library got a pedestrian-friendly makeover a few years back. The Jacksonville Symphony is trying to attract its next generation of concert goers by meeting them where they congregate. The initiative kicked off Wednesday night with a young professionals' cocktail hour at Art Walk downtown. It was a rainy evening for Jacksonville's monthly Art Walk. People were folding up umbrellas as they stepped into the warmly lit foyer of Sweet Pete's Candy Apple Café near Hemming Park. Upstairs a bartender was pouring house specialties. Most of the people mingling there were in their 20s and 30s.